Well these pictures aren’t the best, they are stills from my pocket camera and the video I was making tonight… In isolation they look ok, the blur indicates speed and excitement, and it felt like it at the time. But when I watched the video back it was like watching slow motion! Why is that??? Video uploading to YouTube right now I will post a link tomorrow. Amazing view of the Monument and Cherhill White Horse. 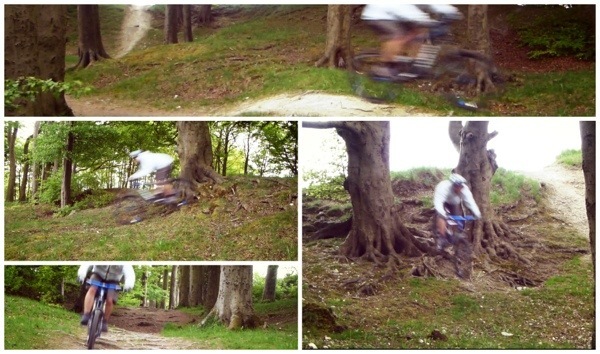 Perhaps we could get them to do an MTB video……? Will see if we can coordinate it with them..